It’s National Car Care Month the entire month of April! 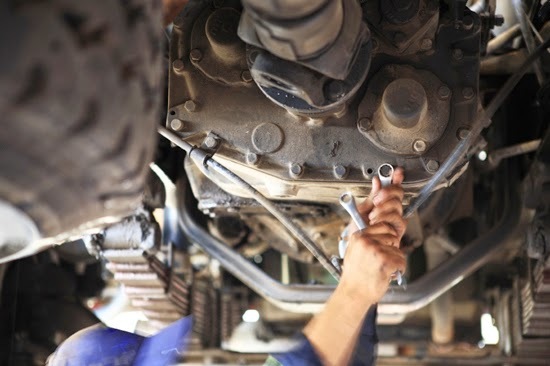 One of the most important things you can do as an owner of a vehicle is to properly maintain your vehicle. Taking control of your car’s proper maintenance is the best way to avoid costly repairs down the road. When’s the last time you had an oil change? How about your tires? If you’re not sure, it’s probably time for a service check-up. Did you know that the top three failures to car maintenance are oil changes, filter changes and bad brakes? When we ignore any of these smaller maintenance issues, we set ourselves up for possible damages later on down the road. Giving your vehicle attention this Car Care month helps you get the most out of your vehicle – through performance, ability, and most importantly, safety. Summer vacations are just around the corner. Is your car or truck ready for the heat and road trip miles? Always remember: regular maintenance is critical, not optional. The Uftring Auto Group works hard to help our customers understand the importance of regular maintenance. The quality of a service appointment done at our dealership just doesn’t compare with the others. At a valued price, you not only get your vehicle done in a timely manner, you get the very best customer service and top-notch automotive experts working on your car. It doesn’t matter if you need an Oil Change, Batteries, Brakes, Tires, Alignment or A/C Check, we know what we’re doing. No matter if you’re a mechanical guru or not, we treat everyone the same. Not sure what oil to use? We’ll never take advantage of your automotive knowledge or lack thereof, and we will always recommend to you what we think is best—always. We continue to preach the importance of car maintenance because we don’t want you to have to spend money on repairs, or damages done for not servicing your vehicle. Skipping an oil change might not seem like a big deal, but trust us, it is. No matter what you drive, a simple multi-point inspection from our highly trained and certified staff will keep your mind at ease. Have that peace of mind knowing your car is dependable and safe is exactly what you’ll have with the Uftring Auto Group. It happens. Maybe you forgot to schedule a routine maintenance appointment or just couldn’t bare the bitter cold temps we had over the winter to get your car worked on. If so, don’t sweat it. Get your vehicle in as soon as you can, don’t wait any longer. If you dread having to spend money on service, just keep in mind you’d probably have to spend much more if you didn’t service it regularly. A little money here and there to keep your vehicle up to speed is part of being a responsible owner. Smart, reliable owners drive smart, reliable cars. Click here to find your Uftring store and schedule your service appointment today!